V.com weekend vote: Do you compose? September 30, 2016, 11:29 AM · The face of music composition is changing rapidly these days, as technology makes it much easier for people without training in music theory or in playing instruments to create their own music. The good news is that for those who do have instrumental skills and knowledge of theory, the world is even better. One can take pencil to manuscript, one can type something into Sibelius. Or, one can play a musical idea, via keyboard or other instrument, into a computer and manipulate the music in more ways than my brain can fathom, with the help of programs like Garage Band and others. One of my students has been composing for some time, arranging popular pieces for her middle and high school orchestras, more the traditional way, but also using technology. In encouraging her to get set up with an electric violin, pedal and expanded setup on the computer, I'm getting a little jealous. I would have loved this, when I was young! I love the idea of being able to create music as both a digital native and a trained musician. What power! As it is, I'm a trained musician, but I speak digital with a foreign accent, if you know what I mean. I'm slower than, say, my 16-year-old son! But I'm certainly interested. So this week's vote is about composing. Do you compose? Do you do it in a traditional way, or more digitally? And if you are digitally well-versed, what are the programs that violinists would have fun exploring? September 30, 2016 at 08:00 PM · I voted "Yes, using a combination of traditional and modern tech," which has 33% at this hour. Even with modern tech, I can't transcribe my ideas as fast as they come to me. Mine are unaccompanied improv's/cadenzas, 3-5 minutes each, that I refine and memorize first, usually weeks before writing them down. September 30, 2016 at 08:47 PM · I've been arranging for string quartet for fifty years. Back then, I couldn't find enough suitable music for weddings, receptions, and funerals, that was easy enough for a pick-up quartet to play with minimum (or no) rehearsal, yet still sound good. 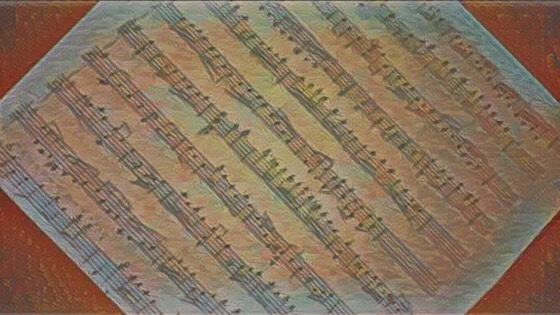 I started using pencil and staff paper, but eventually switched to using notation programs (Finale, and later Sibelius). Eventually, other ensembles asked me to make arrangements for them (string quartets, string quintets, sextets, cello quartets, soprano and quartet, string orchestra, and later bands and full orchestras), and recently I have been asked for original compositions. I was always very reluctant to compose. While I feel very comfortable arranging traditional music (rock music is sometimes tough for a string group unless it has a piano to help with the percussive drive), composing is a different thing entirely. With arranging, if you know the capabilities and idiosyncrasies of the various instruments, music arranging is much like a carpenter assembles a cabinet. You have a given piece that is already there. Melody is assigned to one (or more) instrument(s) (or divided among them), the bass line is assigned, and then the harmony and/or accompaniment patterns is/are divided among the rest of the players. However, when composing, "THE MUSE" must be present. Out of nothing, one must come up with melody, harmony, form, etc. Mitch Sturman, a local junior high band director, was constantly finding little-known pieces (from Europe, or early Americana) and asking for arrangements for his band. Each year for nine years, he commissioned composers to write new pieces for his annual "Concert of Premieres." He commissioned works from Elliot Del Borgo, John B, Edmondson, James Swearingen, Ann McGinty, Benjamin Yeo, and others. For the seventh "Concert of Premieres" I had arranged John B. Edmondson's Serenade for Clarinet (which Mitch had commissioned several years earlier for band) in an orchestral version (with Mr. Edmondson's permission and the permission of Kjos Music, the publisher). Elliott Del Borgo conducted his new Concerto for Clarinet, Cello, and Band, along with another new work. A week later, while packing up his Florida winter house for the move to his Maine summer house, Mr. Del Borgo died of a heart attack. For the next ten months, Mitch kept calling me to write a memorial piece for Mr. Del Borgo to be performed on the eighth "Concert of Premieres. Although I refused over and over again, saying that I was an arranger and not a composer, Mitch persisted, and suggested that I use Mr. Del Borgo's initials as the start of a theme and variation. He suggested E-flat, D, B-flat, and, when I finally succumbed to his pleadings, I used his suggestion to start a passacaglia. Then I thought: why not use his entire name to start a fugue. So using both alphabet letters and solfeggio syllables, I wrote out "Elliot Del Borgo": E L(La=A) L(La=A) I(Ti=B) O(Do=C) T)Ti=B) D E L(La=A) B O(Do=C) R(Re=D) G O(Do=C), and used this as the theme of my fugue. After two days, both the passacaglia and the fugue seemed to be working out well, so I combined them (after transposing the fugue theme). With rehearsals for the performance starting in just a few days more, I had to cut the second section short with just an exposition, episode, and exposition, so it just ended with a passacaglia and fughetta in its final form. It seems like "THE MUSE" won't appear unless I have a deadline that has to be met. September 30, 2016 at 09:56 PM · I compose lots of instrumental music using Finale, and I can play back what I've written via MIDI. September 30, 2016 at 11:29 PM · I do a little arranging, mostly for myself, but sometimes for wedding gigs. I use pencil (sometimes ink pen) and staff paper. I've tried various composition computer programs, but I can write faster by hand, and fairly neatly. I also "hear it in the ear" when I use paper; I can't "hear" when I use a keyboard, mouse, and screen. What I do very much appreciate are all the websites with free printable custom staff paper. Staff paper used to be as expensive as published music! October 1, 2016 at 08:31 PM · I am studying Music Composition as my major in college right now, and I am currently preparing a piece I wrote playing violin. It has been wonderful being a string player and writing music especially for full orchestra in the past because I know how bows work and what is good writing for a part. I used to use Finale entirely when I compose, but now at college I use the technology as a last step (we are required to write out our scores by hand and then put them into the computer after). October 2, 2016 at 01:31 AM · Modern technology has made it possible for me to be more active as a composer and arranger. Yes, in college and after I wrote music and arranged works (mostly for string quartet) by hand, but now that I have my PC and good software, it's easier for me to write what I want and arrange for more diverse groups. I still enter the notes one bar at a time (I'm in between keyboards at the moment), but without the instant feedback of today's software, I don't know that I would be able to sustain some of the pieces I've written. I do sketch by hand though. If something comes to mind, and I'm not near the computer, I'll jot it down and hash it out later. October 2, 2016 at 03:28 PM · No composing, just a little light arranging for some of my kids' activities. My personal feeling is that the best compositions, on average and in the long run, come from people sitting at the piano, not at the computer. October 2, 2016 at 06:04 PM · Paul, I used to feel that way, but I'm seeing another side of it, now that my son is doing so much filmmaking and I can see how music is sometimes composed in a very utilitarian way. It always was -- Mozart composed for events, the traditional composers wrote for dances, etc. People compose music, using all that is around them, and what is around them now is an unfathomable crap-ton of recorded and synthesized sound of all varieties and genres. It only makes sense that people would compose by melding it together, and when you do that, the medium is quite logically a computer, not a piano, because a computer is capable of parsing literally thousands, millions, of sounds and allowing you to reassemble, experiment, etc. in a way that you can't do on a piano or even in your head. I'm still a very traditional musician, and I think a composer benefits from knowing how to compose in the traditional way. But the new way is pretty fascinating and can open some very different ways of looking at music, if you can find a way around judging it. October 2, 2016 at 09:13 PM · My only composition credit was for an original ballet I was putting together at a theatre I was working at in Florida in the 80's. I needed something for my entrance, and I knew that the flute was in the same key as my violin. So, I jotted down a little solo run with some chromatics in it to give it the "exotic" eastern flavor I was looking for. I was later accused of ripping off "Scheherazade" opening riff for violin. Jeez. But, on the other hand, thanks for comparing me to the great Rimsky-Korsakov! My original opera based on the history of the Miss America Pageant will debut next year. October 3, 2016 at 02:03 PM · I don't compose, but I voted as a proxy for my 11 year old son who loves composing on the iPad using Notion software. I am amazed at the pieces he has put together.